Short Tales of Horror III | Narration by George! 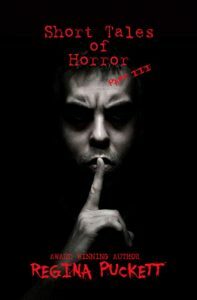 My collection of short stories of ghosts, evil spirits, werewolves, a few mentally ill people and I’ve even thrown in a few zombies and vampires into the mixture. I’ve taken your every fear and written a story about it, so they can be examined in the bright light of day. Of course if your prefer, you’re welcome to read them at night too. I’ll leave it up to you to decide whether you want your horror now or later.